In a few days the Oscar winners of 2011 will be announced, including the award for the best movie of last year. Before Hollywood starts to celebrate, we take a look at the nominees in the Best Picture category to see which film would win if every download on BitTorrent counted as a vote. This coming Sunday, Hollywood’s biggest stars will walk the red carpet into the Kodak Theater for the Academy Awards ceremony. In anticipation of the glamorous Oscar night, we enter the dark side of the movie business to find out which of the nominees in the Best Picture category gets the vote from BitTorrent users. In other words, which of the nominated films was downloaded the most on BitTorrent. After crunching the numbers, taken from thousands of publicly available torrents, this awards race turned out to be an easy win for Inception. With a staggering 13,780,000 downloads Christopher Nolan’s movie was the clear winner. The runners up for Best Picture based on the number of downloads are The Social Network and Toy Story 3 with 8,630,000 and 6,620,000 downloads respectively. Although these numbers are interesting, we have to note that the comparison is affected by release dates. Not all of the nominated films were released on BitTorrent at the same time, resulting in a bias towards older releases. That said, there is a strong indication that Inception would remain the favored Oscar nominee among BitTorrent users if they were allowed to vote for a movie. 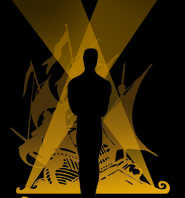 BitTorrent indexer BTarena has been running an Oscar poll for the last three years where visitors can vote for their Oscar favorites across various categories. In this poll, which went live just a few days ago, Inception is also in the lead with 33 percent, followed by 127 Hours and Toy Story with 12 percent each. Aside from picking the Best Picture, BTarena visitors can also pick their favorites in the other categories. Currently, James Franco (127 Hours) is leading the Best Actor category while Natalie Portman (Black Swan) is leading as the Best Actress with half of all votes. The founder of BTarena told TorrentFreak that he decided to start the Oscar torrents project after the OscarTorrents site went down in 2007. “Oscar winners should be voted on BitTorrent too, right? Not only by a few Hollywood people,” he said. The big question, however, is what all these downloads and votes are actually worth. Except for the bragging rights, they seem to hold little predictive value. Last year, half of the voting visitors of BTarena chose Avatar as their favorite, while the Academy members picked The Hurt Locker. In terms of downloads District 9 was the big winner on BitTorrent in 2010, so Nolan and the Inception crew shouldn’t get too excited. In terms of Box Office revenue Inception has little to complain about though. With $823,576,195 in worldwide revenues the millions of downloads on BitTorrent didn’t get in the way of a healthy profit.